In the first phase of improvements to Watford Woodside Leisure Centre in Hertfordshire, one of two state-of-the-art facilities in the town managed by Everyone Active, high performance weberfloor 4310 fibre flow by Saint-Gobain Weber has been specified by main contractor Bosun Design & Construction Limited (BDC), Chandlers Ford, Hampshire. Everyone Active is the trading name for Sports & Leisure Management Limited (SLM), the UK’s longest-established leisure contractor. It manages more than 170 leisure and cultural facilities around the country in partnership with 49 different local authorities and trusts, and is currently carrying out a £1.8million improvement project across its Watford Woodside and Watford Central leisure centres. “Working alongside Watford Borough Council, we are supporting local people of all ages and abilities to improve their health by offering them access to top-class leisure services and facilities,” said Gary Foley, Everyone Active’s contract manger in Watford. “We undertake contracts for Everyone Active at numerous sites in the south east,” comments James May, director at BDC, which is carrying out the work in Watford. Included in the current phase of the works is the creation of a new mezzanine floor. It has been installed in the space above a former dance studio and adjacent squash court, and has enabled a brand new fitness studio to be created. The current studio has also been extended. The second phase of development is due to begin at both Watford sites shortly, for completion in early 2019. BDC is actively involved in both projects. Subcontractor C E C Plastering, of Southampton, undertook the application of weberfloor 4310 fibre flow screed. Director Chris Crosby says: “Together with Bosun Design & Construction we specified this fibre reinforced self-smoothing compound which we pump-applied at various thicknesses from 35-50mm. weberfloor 4310 fibre flow screed was applied to a steel framed block and beam floor construction which overcame the concerns around loading issues that might have arisen with the application of a traditional concrete screed. The new floor was initially primed with weberfloor 4716, a water-based primer designed for use with all cementitious and hemi-hydrate floor screeds. 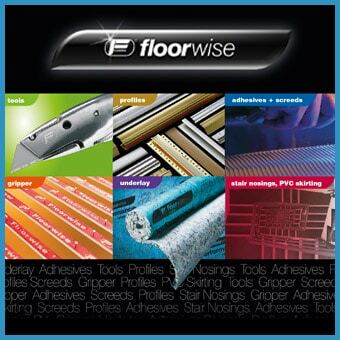 It regulates the porosity of the substrate, improves the adhesion of flooring products while reducing the formation of pinholes in the levelling layer. It should be diluted with clean water and can be spray applied on large areas. weberfloor 4310 fibre flow screed is designed for application at thicknesses between 5 – 50mm and formulated from special cements, aggregates, supplementary binders and chemical admixtures. It is supplied as a blended dry powder and designed specifically for renovation of existing floors and floating floor construction in domestic and commercial applications. weberfloor 4310 fibre flow can receive foot traffic after just 2 – 4 hours and can be tiled after 12 – 24 hours, dependent on ambient temperature following installation. The fibre reinforcement aids durability and allows it to be used in conjunction with under floor heating systems and floating floors. weberfloor 4310 fibre flow has excellent spreading and smoothing characteristics. It has low alkalinity and low emissions during drying and is casein free. Almost 500 bags of weberfloor 4310 fibre flow were required to finish the 190m² mezzanine floor in preparation for a final wood sprung floor suitable for dance and other physical education where shock absorption is essential to enhance performance and reduce the risk of injury. weberfloor 4310 fibre flow is featured in Weber’s one hour long RIBA-Assessed ‘Introduction into Flowing Floor Screeds’ CPD which can be presented by Weber’s Specification Team at your premises or at a Saint-Gobain facility or Training Academy anywhere in the UK. It is free of charge and available on request. This comprehensive CPD presentation covers many subjects from why and where to use floor systems; the attributes of commercial floors; design considerations; the demands of the finished floor that will have an influence on specification, through to renovation, fast-track construction and drying times. The CPD includes an application video showing the attributes of weberfloor 4310 fibre flow smoothing compound which is of specific interest to both designers and applicators. Weber’s floor screeds and tile fixing products are manufactured in sustainable, modern manufacturing facilities in Bedfordshire, Shropshire and Ireland, ensuring product quality, conformity and availability, with reduced transportation costs and CO₂ emissions. Weber has a team of experienced technical advisors who are available to provide advice both at the specification stage and during application. Detailed specifications can be provided for specific projects while site visits and on-site support can be arranged. For more information about the Flooring CPD, to make a booking, or for technical support including award winning training courses, please contact Saint-Gobain Weber on 08703 330 070, or visit www.uk.weber. A free download of the Weber App for iPhone and iPad users is also available from the App Store and from Google Play for Android smartphones and tablet users. Follow Saint-Gobain Weber on Twitter @SGWeberUK for the latest company news and updates.